In case you hadn’t heard, Camp Nai Nai Nai registration is live and with over 100 campers already registered, we can’t help but dream of summer fun. If you just can’t wait for May 24-27 (East Coast) or August 23-25 (West Coast), we have a ton of awesome MHWOW programs for you to host and scratch that camp itch that you just can’t seem to shake. Backyard Fireside Havdalah Recreate your camp Havdalah experience! Grab your guitar and jam your hearts out as you close Shabbat. After you bring in the new week with spices and wine, I highly recommend treating your friends to a meal or treat to nosh on (if you plan on inviting me I am requesting an ice cream sandwich bar). A s’mores bar is always a hit. Can’t remember all the blessings? Don’t worry, we have this cheat sheet for you! You’ll definitely know what to do when it comes to the “Nai Nai Nai…” part of the tune! Connecting with your Inner Einstein If you’re not ready to take your competitive spirit outdoors quite yet (looking at you polar vortex), you can keep it indoors with a Jewish game night. My personal fave, which also happened to be something we did at my overnight camp is Jewpardy. This site allows you to create your own Jeopardy board and if you insert your Sunday school fun facts, you can quiz your friends on their Jewish knowledge! Not a Talent Show Camp is all about reigniting your inner kid and having fun! I love swapping stories about my childhood and it is a great way to reflect on how you got to be who you are. By hosting a Story Slam for your community, you can invite your friends to share about how they developed their Jewish identity today. Whether the stories are from their overnight camp experience, Bar or Bat Mitzvah, or their first Purim carnival, it is sure to be a program full of laughs and warm fuzzies. Tie-Dye-All-NAIt One of the best things to do with your programs is to create a takeaway for your guests and if you’re like me and need to expand your tie dye collection in anticipation of camp, this one is for you. 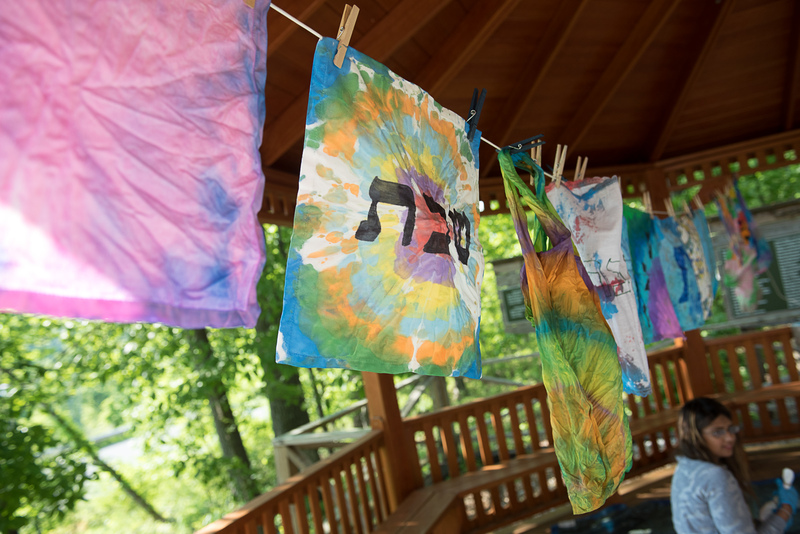 Have you thought about tie dying your own challah covers? Gather your friends and some plain challah covers so everyone can put their own spin on Judaica! Balls, Flags, and Wide-brimmed Hats As the weather is warming up, get ready to take your programs to the great outdoors! A highlight of camp for me growing up was Maccabia and a Garden Party can provide the perfect setting for a sophisticated Maccabia. 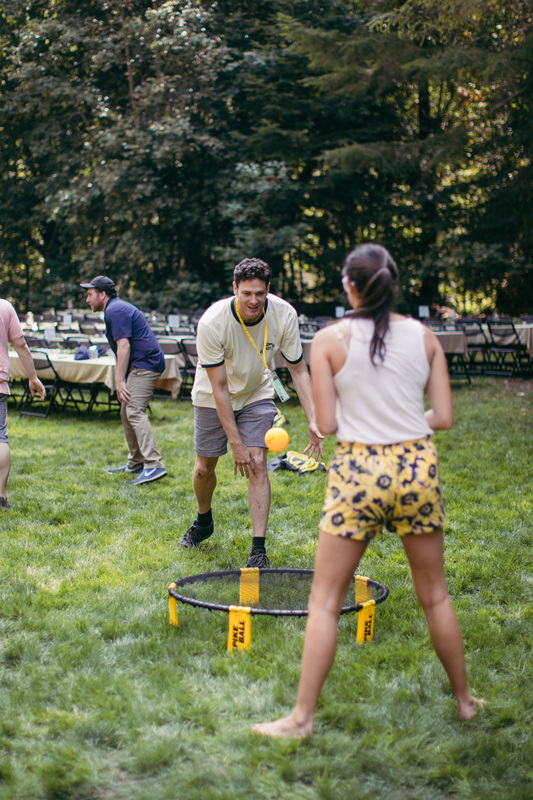 Combine your favorite field games (capture the flag, dodgeball, ultimate frisbee) with refreshing beverages and snacks to make a perfect weekend afternoon. Choose Your Own Adventure Judaism says experiencing something for the first time is a mitzvah, we even have a whole prayer to honor the experience (a.k.a. the shechiyanu). Assemble a new group of friends together and go do something you haven’t done together! 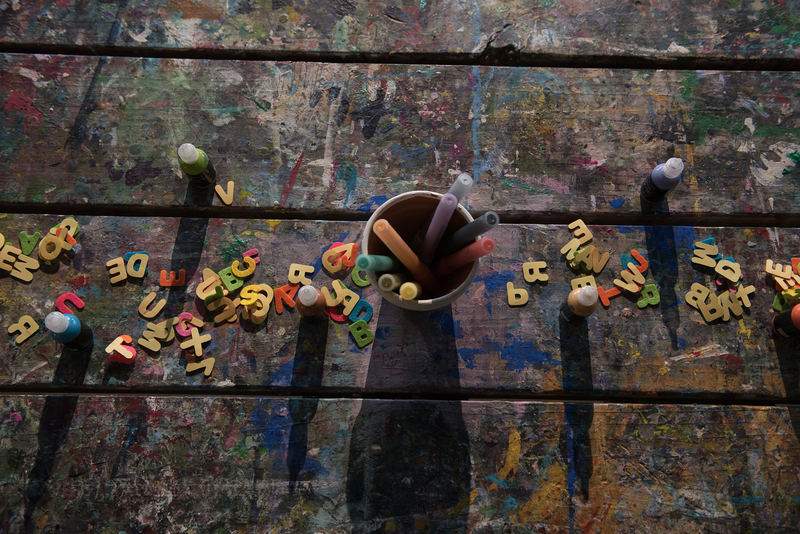 Think escape room, bowling, mini golf, or whatever else your heart desires and before getting into the activity try incorporating one or two of these famous ice breakers. After your ice breakers, have a conversation with your friends about the Jewish value of welcoming the stranger and of course say the shechiyanu. 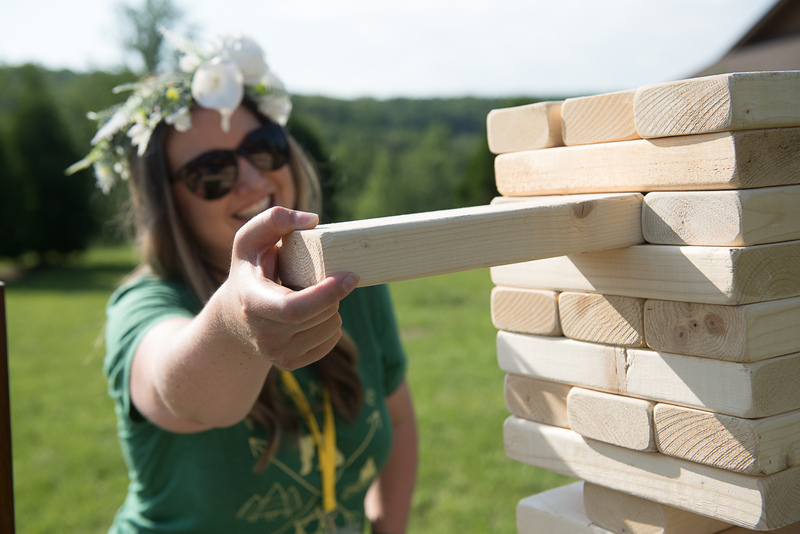 This openness to new experiences and new people is exactly what camp is all about so these things are really setting the stage for a top notch day of fun! 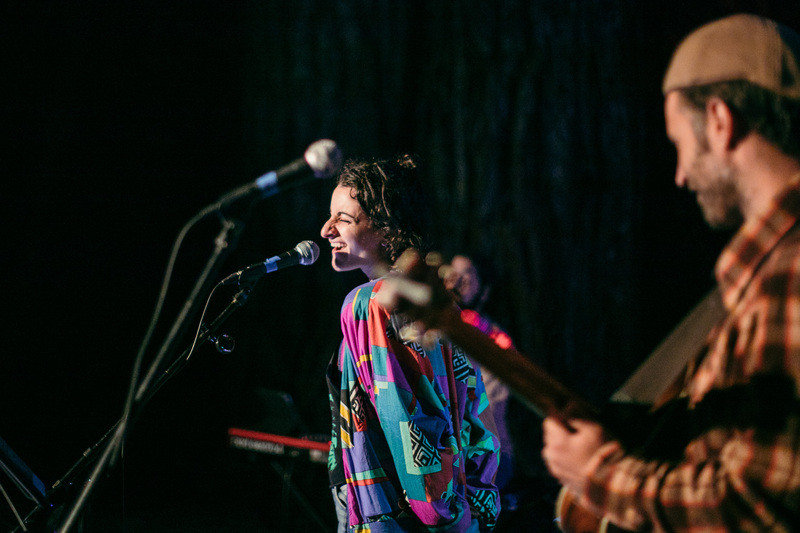 If you and your friends love camp style programs, you’ll LOVE Camp Nai Nai Nai! Don’t forget to remind your friends at your program to register for camp before Early Bird pricing ends on April 10 and you can find all the details here. Better yet, they should write that they referred you so you can get some PRIZES! 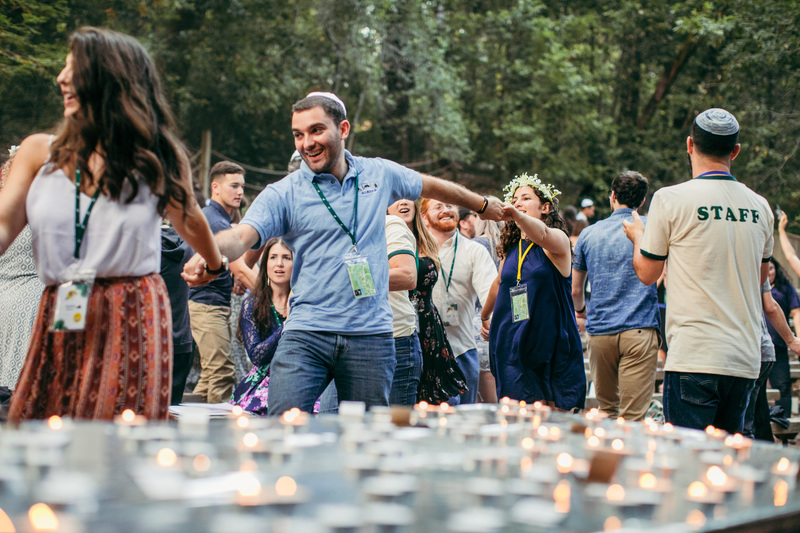 As always if you host one of these fabulous programs or have your own camp inspired shin dig, don’t forget to share it with us at withoutwalls@moishehouse.org, our Facebook, and our Instagram by tagging us and using #MoisheMoment. Happy hosting!